So, you might be a little tired of hearing about all of the sales, but they are still going strong. I shopped a little bit on Black Friday for Christmas gifts, and I seriously saved so much moneyyyy!!! I have a few more things that are on the list for Monday. I promise this is my last post regading the sales!! I just get SO excited when I can find a great deal. Hope that you have a lovely weekend, and I also hope that you can enjoy a little bit of Cyber Monday shopping. 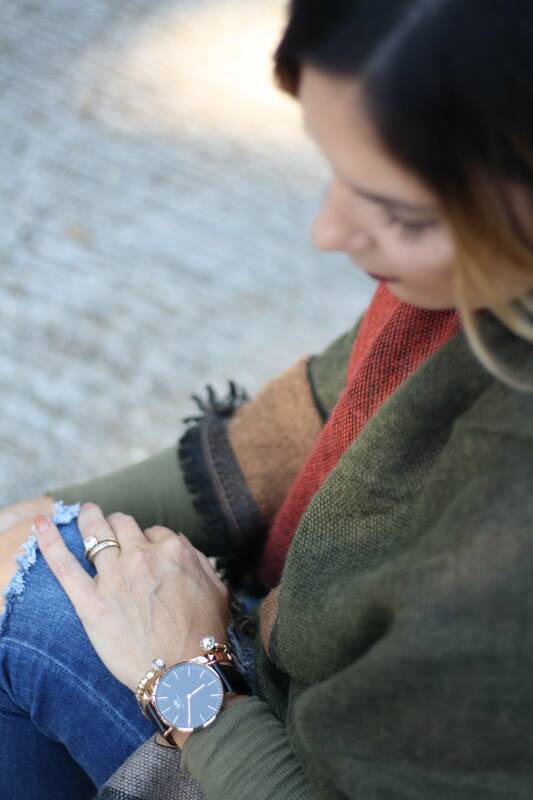 All about the big buffalo plaid and scarves this year along with the big watches which I totally love. Love love love this outfit! The colors are so autumnal and the scarf looks so cozy. Thanks for sharing these sales. Headed to the ASOS website right now! Great selections – I would love some new scarves in my stocking! These are some lovely gift options! I especially like the watches and the homeware. Your outfit is lovely too! Still lots of shopping to be done, great ideas! That blanket scarf is SO pretty! I love the way you styled it! Love your hair and lipstick!! I loves those scarves and I absolutely adore how you style yours. I’ll definitely check on this sale and thank you for the code. You are stunning! Love the glow on your face . I am loving your hair! and I have always wanted a Daniel Wellington watch! You rounded up the perfect gift ideas! I wouldn’t be mad to have any of these items in my stocking! 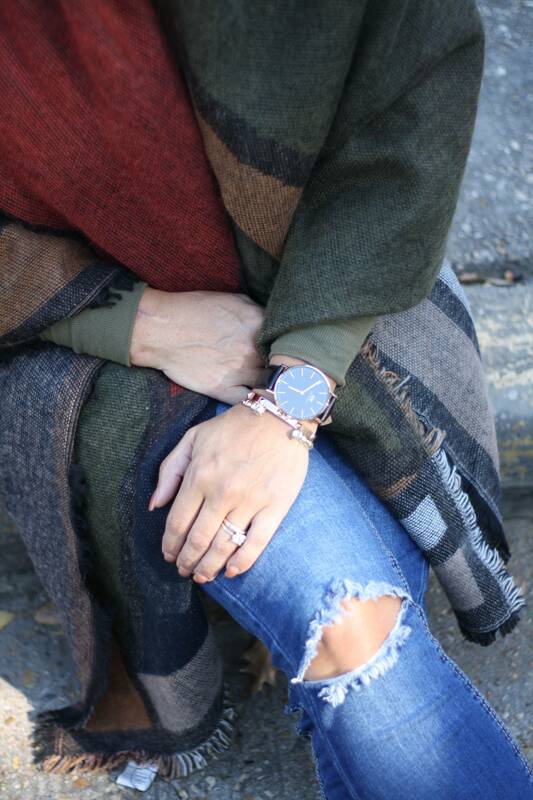 LOVE the scarf and the watch. Swooning ! I never appreciated slippers until this year since I’m living where there is an actual winter! I think those are great stocking stuffers! 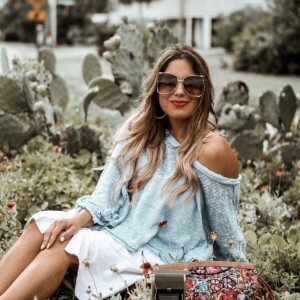 Great picks, and love that outfit! Your style is PERFECTION! I absolutely love the details in this outfit! Oh my goodness!! This outfit is perfection! LOVE!!! I love this outfit and all your picks! This was such a great read! Such a great gift giving resource to have handy. You are such a babe in your cute chilly weather outfit! I love the style of your watch with the large face and color combo. Adorable scarf too! I can never read about too many sales! These are great deals. You’re just gorgeous!! Thanks for sharing such good stocking stuffers!!! I also need the DW watch and bag – totally a perf outfit! This is a great list! I’d love to receive any of these items for stocking stuffers. You look beautiful! such a fab gift guide! really loving that scarf! Loving all of this! The watch is especially beautiful, I love the details. I love the scarfs! I am so addicted to getting one to match all my outfits! thanks for sharing! LOVE this whole look from head to toe! Black watches are my favorite. So chic! I just love that poncho! The colors are so pretty! and your watch is stunning! These are some of the best gift options I’ve seen! I also LOVE that green scarf! All of these gift guides have made me spend way more than I had expected to! Ohhhhh my gosh I love stocking stuffers!! Something about them is just too cute to me. They’re always fun to shop for!! Adorable outfit- perfect for fall and winter! Also: Hair Envy. Loving the colors in this scarf! And that black DW is so chic! Such cute picks! J. Crew Factory got a lot of business from me today lol. That scarf is just adorable!! Scarves and candles are perfect stocking stuffers! Loving all of your picks. such a cute and cozy scarf! This is the cutest look! I love that scarf!! Also love this fab gift guide! I really want the pom pom blanket! Loved how you broke this down! Happy Shopping! Flawless, friend! 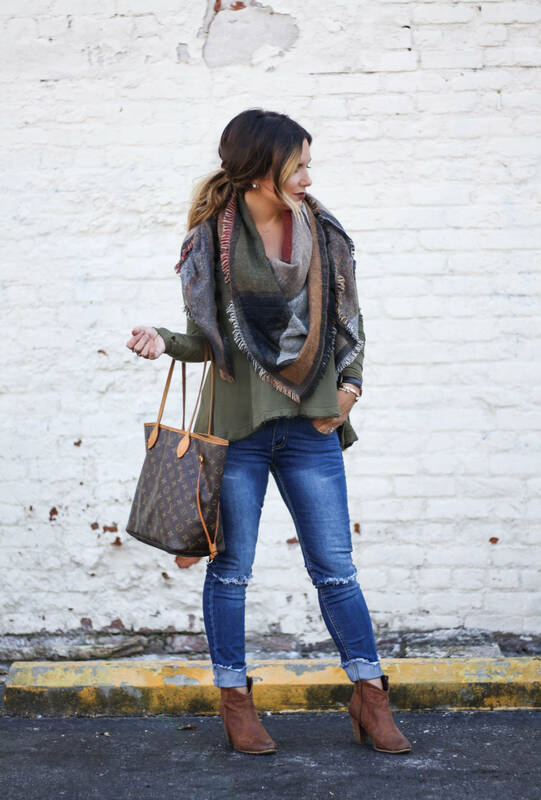 You look stunning in olive…love these fall tones. That scarf is fab…these are all such perfect gifts, and awesome sales! I’ve been shopping non-stop! Thanks for the creative gift ideas. ?? Love your scarf and that watch is so pretty!! PS You look absolutely stunning! Love the casual chic look. I love that scarf, and your hair is gorgeous! Beanie hats are such a cute idea for stocking stuffers. I’m in love with this look! That blanket scarf is so pretty and cozy looking, and the boots with that gorgeous oversized bag just complete the whole look. I love that scarf – such a great stocking stuffer! adorable outfit girl! so cozy! I’ll take one of everything please. Great gift ideas. I’m loving everything in this gift guide… I might have to get some of it for myself ha! Thank you for sharing your this list and Happy Holidays!! I love these big scarves. they are so comfortable. The watch is very nice as well. Hmm it looks like your blog ate my first comment (it was super long) so I guess I’ll just sum it up what I wrote and say, I’m thoroughly enjoying your blog. I too am an aspiring blog blogger but I’m still new to evnhetriyg. Do you have any tips and hints for beginner blog writers? I’d definitely appreciate it.